Eugenics is the philosophy and social movement that argues it is possible to improve the human race and society by encouraging reproduction by people or populations with “desirable” traits (termed “positive” eugenics) and discouraging reproduction by people with “undesirable” qualities (termed “negative” eugenics). The eugenics movement began in the United States in the early part of the 20th century; the United States was the first country to have a systematic program for performing sterilizations on individuals without their knowledge or against their will. It was supported and encouraged by a wide swath of people, including politicians, scientists, social reformers, prominent business leaders and other influential individuals who shared a goal of reducing the “burden” on society. The majority of people targeted for sterilization were deemed of inferior intelligence, particularly poor people and eventually people of color. In the early 20th century, many scientists were skeptical of the scientific underpinnings of eugenics. Eugenicists argued that parents from “good stock” produced healthier and intellectually superior children. They believed that “traits” such as poverty, shiftlessness, criminality and poor work ethic were inherited and that people of Nordic ancestry were inherently superior to other peoples, despite an obvious lack of evidence and scientific proof. However, eugenicists were able to persuade the Carnegie Institution and prestigious universities to support their work, thus legitimizing it and creating the perception that their philosophy was, in fact, science. The eugenics movement became widely seen as a legitimate way to improve society and was supported by such people as Winston Churchill, Margaret Sanger, Theodore Roosevelt and John Harvey Kellogg. Eugenics became an academic discipline at many prominent colleges, including Harvard University, among many others. From the outset, the movement also had critics, including lawyer and civil rights advocate Clarence Darrow as well as scientists who refuted the idea that “purity” leads to fewer negative gene mutations. Nevertheless, between 1927 and the 1970s, there were more than 60,000 compulsory sterilizations performed in 33 states in the United States; California led the nation with over 20,000. Experts think many more sterilizations were likely performed, but not officially recorded. Adolf Hitler based some of his early ideas about eugenics on the programs practiced in the United States. He was its most infamous practitioner; the Nazis killed tens of thousands of disabled people and sterilized hundreds of thousands deemed inferior and medically unfit. 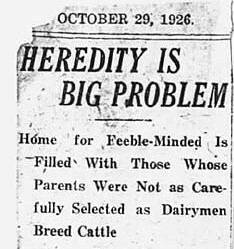 After World War II and the Holocaust, the American eugenics movement was widely condemned. However, sterilization programs continued in many states until the mid-1970s. How can we as a society avoid the mistakes of the past to take advantage of the promise of genetics? Today, safeguards have been established to ensure that the ethical implications of new technologies are discussed and debated before being employed on a large scale. In this way, the benefits and advances arising from scientific research and medical procedures can be achieved both ethically and humanely. Examples of the efforts of the United States government to ensure that progress in science, research and technology proceeds in an ethical and socially acceptable manner include the Presidential Commission for the Study of Bioethical Issues, well known for the development of the Belmont Report, and the Ethical, Legal and Social Issues (ELSI) program housed in the National Human Genome Research Institute of the National Institutes of Health (NIH). Many people fear that new advances in genetics could lead to a new era of eugenics. However, these advances lead to sometimes difficult ethical questions, particularly related to reproductive technologies and embryo screening. As science advances, what traits might people be able to choose or select against? Is it acceptable for prospective parents to have a say in which embryos are implanted in a women’s uterus for non-medical reasons? Is it acceptable for society to dictate this decision to prospective parents? Many of the breakthroughs have saved lives and will continue to do so on a grander scale, and we, as a society, need to discuss the complex issues related to genetic technologies. Debate and discussion can be illuminating even though complete consensus about the intersection of genetics and society will be difficult. Black, Edwin, War Against the Weak: Eugenics and America’s Campaign to Create a Master Race (Dialog Press, 2003). Stern, Alexandra Minna, Eugenic Nation: Faults and Frontiers of Better Breeding in Modern America (Berkeley, University of California Press, 2005). Image Archive on the American Eugenics Movement, Dolan DNA Learning Center, Cold Spring Harbor Laboratory. 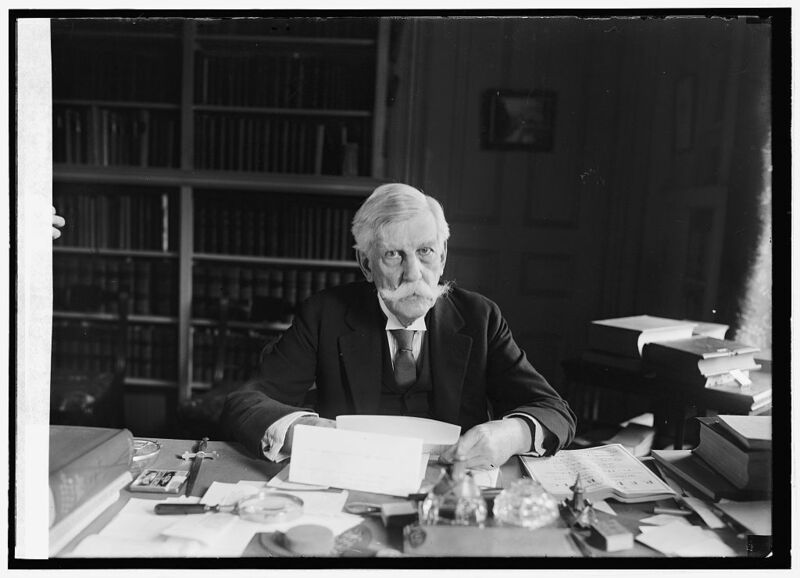 For a critique of eugenics research, refer to the essay by historian Garland E. Allen. Timeline of the American Eugenics Movement, Facing History and Ourselves. Eugenics in the United States, Wikipedia. Presidential Commission for the Study of Bioethical Issues. Topics that have been examined by the Commission include research involving radiation, cloning and the use of embryos. Members of the Commission are appointed by the President and change regularly. Current projects include studying privacy issues in whole-genome sequencing and synthetic biology. Ethical, Legal and Social Issues (ELSI) program, National Human Genome Research Institute, National Institutes of Health (NIH). The ELSI program supports research and public engagement in the area of ethics and produces publications that inform the general public about ethical issues. “Reparations in North Carolina for victims of forced sterilization,” June 2014, pgEd Blog. This lesson provides students with a historical overview of the American eugenics movement and highlights some of the advances and breakthroughs that have been achieved through genetic and genomic research. Many people fear that new advances in genetics, particularly embryo screening and analysis of fetal DNA, could lead to a new era of eugenics. The goal of this lesson is for students to start discussing these topics so that they can understand the complexity of the issues and engage in conversations that contrast the dangers of eugenics with the benefits that can come from genetic information. This lesson uses primary source documents to explore issues of race, gender and class in the 20th century. It is intended to extend the ideas explored in “History, eugenics and genetics.” The goal of this lesson is for students to use original sources to understand how the eugenics movement used propaganda to enter mainstream America to promote its agenda, and use critical thinking skills to analyze and interpret the sources.